With Valentine's Day just around the bend we wanted to share a recipe that could be enjoyed with a lover to turn up the heat, or with yourself as a form of self care and love. 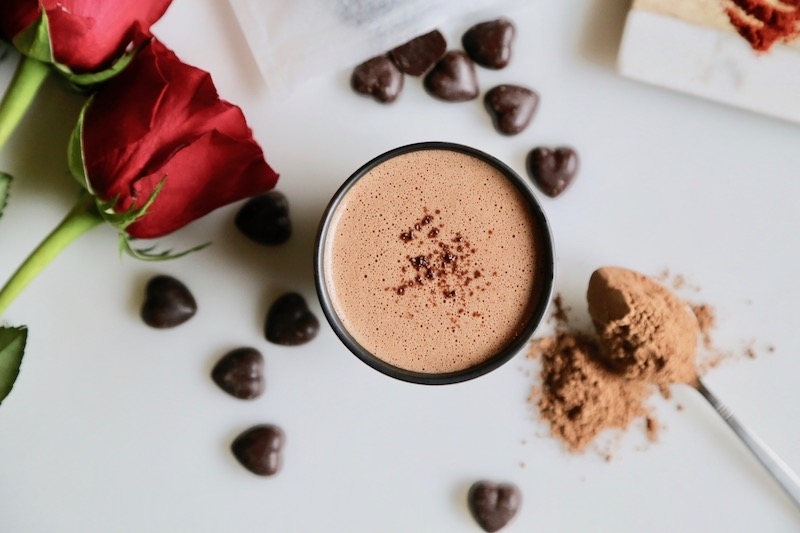 What could be more perfect than a batch of rich drinking chocolate made with stone ground raw chocolate hearts, raw cacao powder, plant based milk, and plenty of spice. After all, drinking hot chocolate is like giving yourself a giant hug from the inside out. Chocolate is synonymous with romace and love, and yes, while a lot of that has to do with the marketing efforts of the worlds largest mass chocolate producers, chocolate itself has a few hidden secrets up its sleeve - secrets that could make even cupid a little jealous. 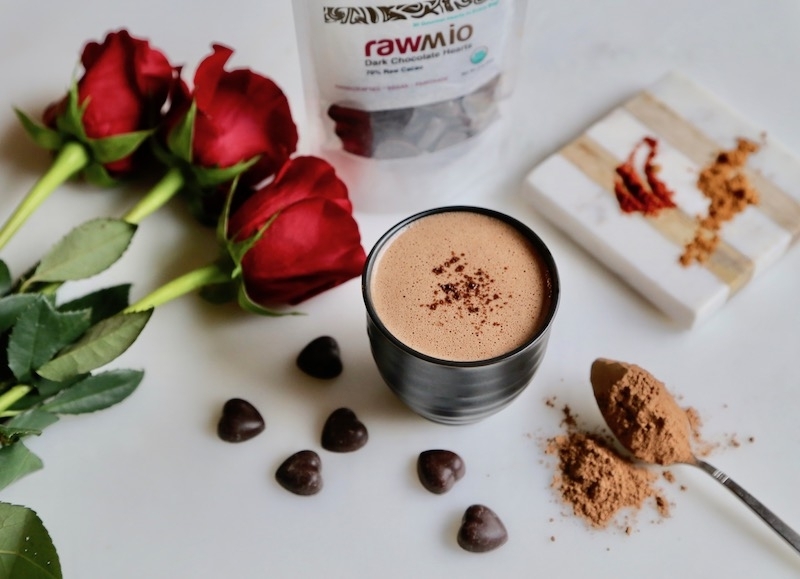 Cacao contains compounds that boost our mood and trigger feel-good endorphins - yep, kind of like what happens when we're swooning over someone. 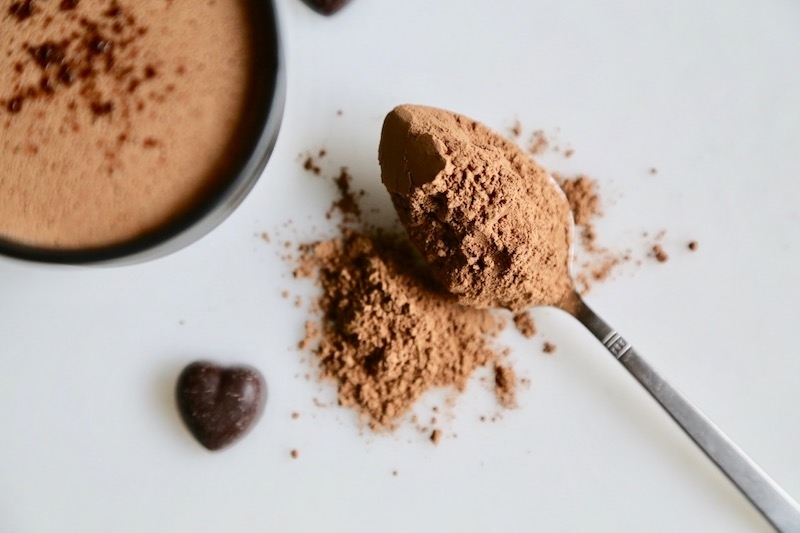 Last but not least, a stimulant known as theobromine gives us a subtle boost of energy, relaxes blood vessels, lowers blood pressure and improves circulation. It has also been shown to act as an appetite suppressant, meaning it can be a valuable ally in weight management efforts. Together these compounds work with our own biology, and our own neurotransmitters, to inspire feelings of excitement, bliss, love, focus, and creativity. If you find yourself always feeling freezing this time of year, let us just say, your life is about to be changed by this hot chocolate. 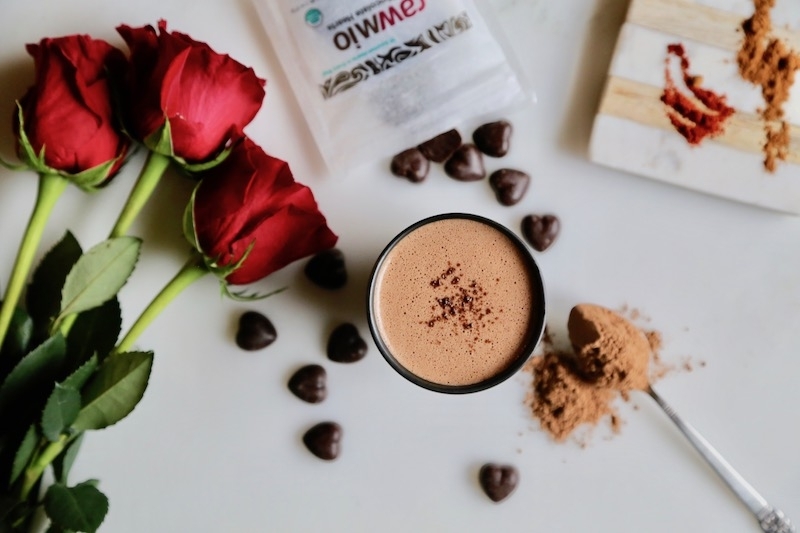 Not only does cacao help boost circulation with its theobromine content (a natural vasodilator), this recipe also includes a very generous amount of cayenne pepper for a boost of heat that radiates from the inside out. It draws its inspiration from traditional mayan drinking chocolate: it's made with chocolate and cacao processed at low temperatures, it's rich, thick and impossibly chocolatey, and it contains a firy kick of spice from a trifecta of cayenne pepper, cinnamon, and (optional) nutmeg. 12 oz is enough to share, but if you have to drink it all yourself you wont be complaining, we promise. 1. Blend all ingredients until smooth in a blender. Chocolate hearts and coconut butter will remain a little chunky - that's okay as things will melt down nicely in your saucepan. 2. Pour into a saucepan and gently heat to desired temperature. Keep it warm for a raw drinking chocolate, or heat it up and enjoy it HOT.